Computers in Meteorology | How Would they Help You? Who needs computers in meteorology? More about weather and technology. Computers in meteorology: Are they really necessary? 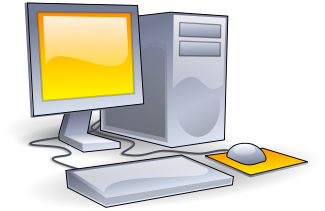 Like every other area of science, and life in general for that matter, computers are important to modern meteorology. One thing computers can do is generate model output quickly and reliably. Models such as hurricane forecast models enable a meteorologist to gain extraordinary insight into the upcoming weather. This is especially important in predicting severe weather in time to let people get out of harm's way before the storm hits. Predicting the weather is not always easy, although using computers in meteorology can help in many ways. The changes in the weather happen according to the complicated rules of fluid dynamics, but never exactly. This makes it impossible to be sure of what the weather is going to do next, although there are basic patterns, and using these rules in forecasting usually helps somewhat. What do the machines do for us? Using computers helps weather forecasters analyze the atmosphere by drawing weather maps separately for each of several atmospheric levels. Then the computer can put it all together and generate a prog, a prediction. A prognostic model run gives three dimensional data describing the future state of the atmosphere as determined by its algorithms. We need computers for doing the huge volume math and tracking required for predicting the weather. It is estimated that it would take over a hundred thousand people doing the figuring manually to perform the calculations done by the supercomputer of the National Center for Environmental Prediction. And you can forget about monkeys with typewriters. One example of the math necessary in modern numerical weather prediction falls under a group of numerical turbulence models. This term refers to numbers that relate to how the ocean and atmosphere are moving. What do we need to record? The speed and direction of wind at the different levels and in different locations, the barometric pressure in all of these places, along with temperatures and moisture content for each for starters. Do people compare with computers in meteorology? When is a human needed in this work? While computers have done a huge pile of legwork and helped us find greater insights into weather, meteorology has also driven the development of new computer technology. The two sciences have gone hand in hand to further each other. Organizations like the NOAA (National Oceanic and Atmospheric Association) now use Cray supercomputers for all weather data processing. Other supercomputers, produced by IBM, also get used in the field of weather prediction. Consultants in air quality use computers in meteorology to conduct dispersion modelling amongst other things. This modelling predicts the distribution and resulting ground level concentrations of contaminants emanating from stacks and other sources of industrial air pollution. We use models with names such as CALPUFF and AERMOD. Finally, computers enable us to network and communicate data efficiently. An example is this website. If you would like to design one of your own, have a look at this basic how-to information and see how easy it is to get started. Build something meaningful. Go back from Computers in Meteorology to the Air Quality Testers web page, or visit the Stuff in the Air homepage. You might see special results at the top of the page, above the word WEB. They're ads, but they might be important to you. Happy searching!